Whether you’re throwing a fundraiser for your charity organization, utilizing the summer time to make some money for the school you work at, or would just like to raise some funds for your community, it’s important to grasp people’s attention! The more attendees that go to your fundraiser, the more money you’ll raise! Here at Celebration Source, we’re not sure what theme would garner more interest than a carnival! 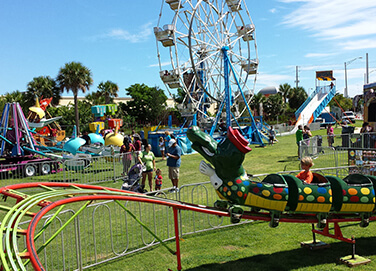 From youth to adults, carnivals never fail to put smiles on faces, and we’ve got all of the carnival rentals in West Miami that you need! 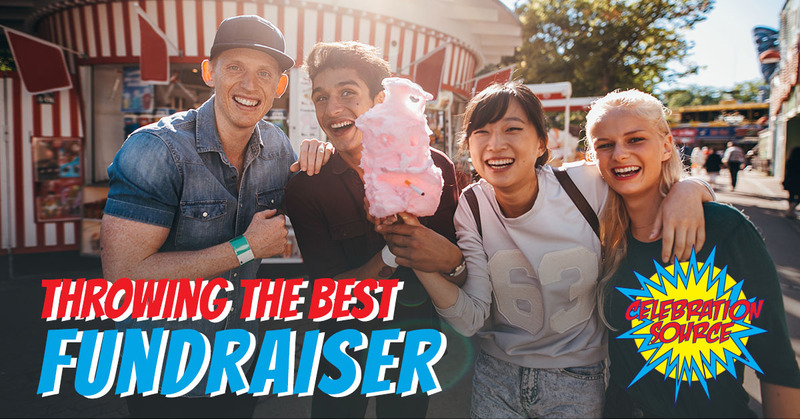 In this post, we’ll discuss why you should contact us to provide you with all of the carnival games, rides, food, and more to make your fundraiser a hit and help you to make money for a good cause! If you’re looking for carnival rides, boy do we have a selection for you! Amongst our mechanical rides, we have all of the classics! From our mini-carousel to our large rides like The Fireball, your attendees will be screaming with joy! Yet, maybe the most popular mechanical ride that we offer is, of course, the Ferris Wheel! Fifty feet high and able to brighten up the night sky when the sun sets, the Ferris Wheel is guaranteed to have people coming from all over to partake in the fun. Along with our mechanical rides, we also offer an array of inflatables for all ages. For the young ones we have several inflatable bouncers that will have them jumping with laughter, and to help cool down from the heat of the summer Florida sun, we have a variety of inflatable water slides! Be sure to browse through all of the carnival rides that we offer to find the right one for your occasion! What’s a carnival without carnival food? At Celebration Source, we’re able to provide your fundraiser with all of the favorites from popcorn and hotdogs to caramelized apples and cotton candy! The only recommendation we have is that you make sure to let the food settle before strapping into one of our exhilarating rides! In between stuffing their faces with delicious carnival food and having the time of their lives on our rides, we also offer a wide range of party and carnival inflatable games for them to play. With so many to choose from, be sure to look through our selection, but we’ve found that a few of the most popular are Spaceship Laser Tag, Bumper Cars, and the Cash Cube! But the games that you choose to rent are really dependent on the age of your visitors, and your budget for the event. Contact us now to request a quote! So if you’re ready to have the fundraiser of the year, be sure to contact our party entertainment experts today!